iTunes Converter, convert iTunes to MP3, iTunes M4A M4P to MP3 etc. What is iTunes? iTunes is an audio player for playing and organizing digital music files, and purchasing digital music files in the FairPlay digital rights management format. It supports playing various formats like M4P, MP3, AAC, M4B, M4A, AIFF, WAV etc. And it's available for Mac OS X, Windows Vista and XP. 1.M4P->CD-> MP3 : The common way to convert iTunes music to MP3 is burning iTunes playlist to MP3 CD. Then you rip the sound tracks from the CD, and you get MP3 songs out of iTunes music, AAC, DRM-encrypted M4P. 2.Convert iTunes M4A M4P to MP3 directly: With the following iTunes music converters, you can convert iTunes M4P to MP3 with one step in quite a short time and you do not have to waste CD discs anymore. Forthermore, these iTunes converters also have more functions like converting protected WMA to MP3, WAV, WMA, OGG and various file formats on Windows PC. AppleMacSoft DRM Converter is the legal way to convert iTunes DRM protected files to unprotected music files. It is a DRM copy-protected audio and music converter designed for burning DRM protected music to a special virtual CD-RW drive where you can easily get unprotected MP3, AAC, Apple Lossless, AIFF, WAV files ready for use on any player. AppleMacSoft DRM Converter uses a CD-RW and iTunes itself to convert all of your DRM music files to standard format files (MP3, AAC, Apple Lossless, AIFF, WAV) that you can use with iPod player. 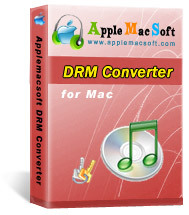 With AppleMacSoft DRM Converter you can create MP3, AAC, Apple Lossles, AIFF, or WAV files from your DRM files. NoteCable M4P Converter is a powerful, yet simple audio converting tool to bypass DRM control with a virtual audio recording method. It records any copy-protected music and audio book files (M4P, WMA, AA and M4B) as they are being played and saves the recordings as unprotected audio files (MP3, WMA or WAV) you can enjoy anywhere. Within a few clicks, NoteCable M4P Converter enables you to easily convert any protected music to plain MP3 and enjoy it on any music devices such as iPod, Zune, MP3 player, CD player, cellular phone or PC - without any restrictions or DRM protection. SoundTaxi is a useful DRM removal program which can convert your purchased or downloaded DRM protected music files to plain MP3, AAC (M4A), WAV etc, at high speed and high quality. Thus you can enjoy your music and audio files on MP3 Player, CD Player, iPod etc, without DRM protection. Enjoy all your protected songs on iPod, any other MP3 player, CD player, mobile phone or PC - without any restrictions or DRM protection.- FREE Download. SoundTaxi Professional removes DRM protection from music files with a few clicks. Since 2004, Tunebite has been mentioned and singled out for excellence in more computer trade publications than any other legal software solution that removes DRM copy protection. Tunebite legally removes the audio DRM copy protection from music & audio books by re-recording it at up to 54x the speed. With either the playback software or Tunebite, additional copyrighted music & audio book files can be copied by using the virtual CD-burner. 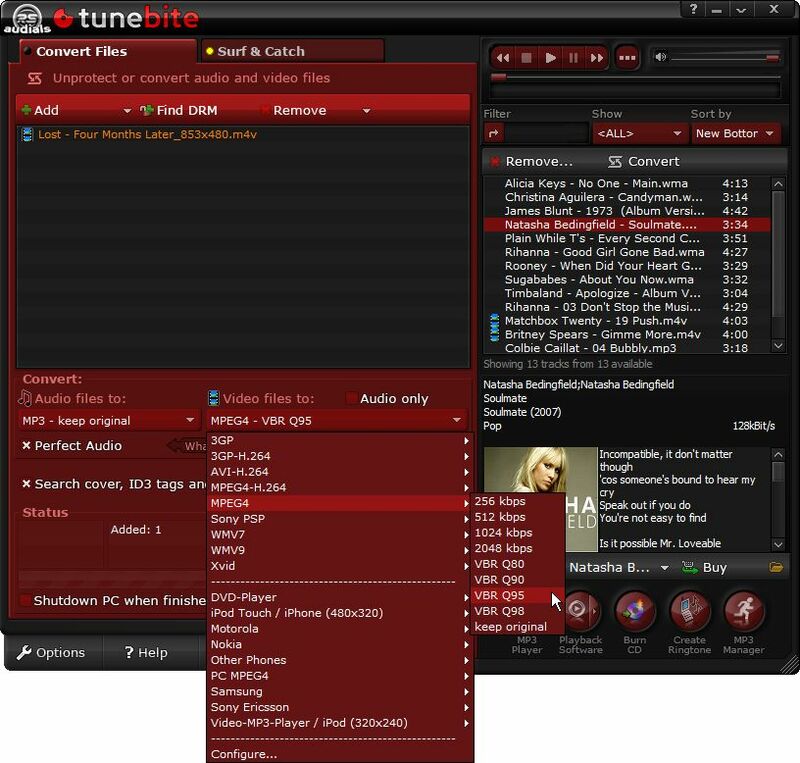 Tunebite has one of a kind quality control with PerfectAudio, guaranteeing error-free audio output. Tune4Mac M4P Converter for Mac is a M4P to MP3 music converting tool for Mac OS X. This M4P to MP3 Converter converts unprotected music and DRM protected iTunes music M4P, M4B, M4A files to plain MP3 with a Virtual CD-RW drive ready for use on any computers or mobile music devices such as iPod, PSP, Zune, iPhone, cell phone, MP3 player, MP4 player etc.